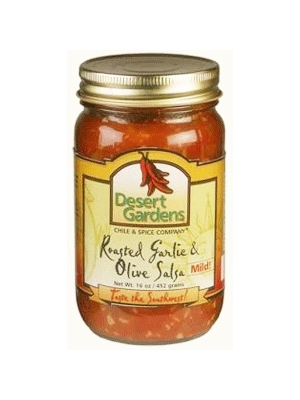 Desert Gardens Roasted Garlic & Olive Salsa Mild 16 oz. My fave salsa of all time! Another great heat and excellent flavor. Also try Federicksburg Farms Caliente Salsa.